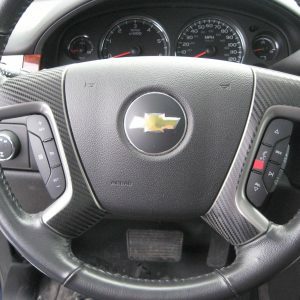 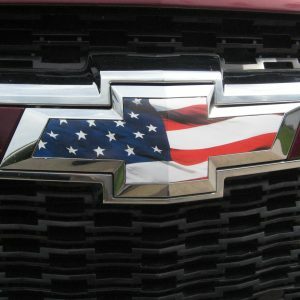 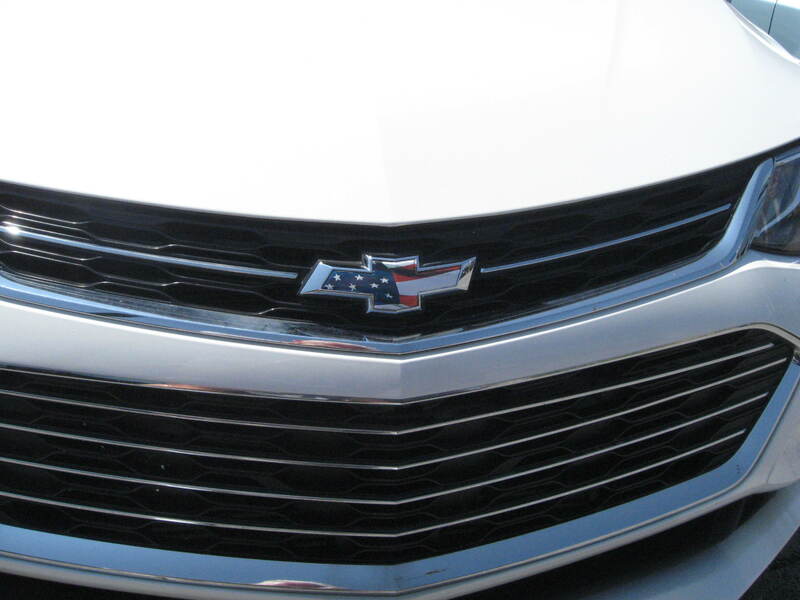 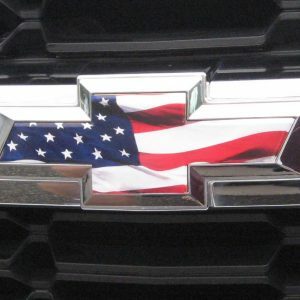 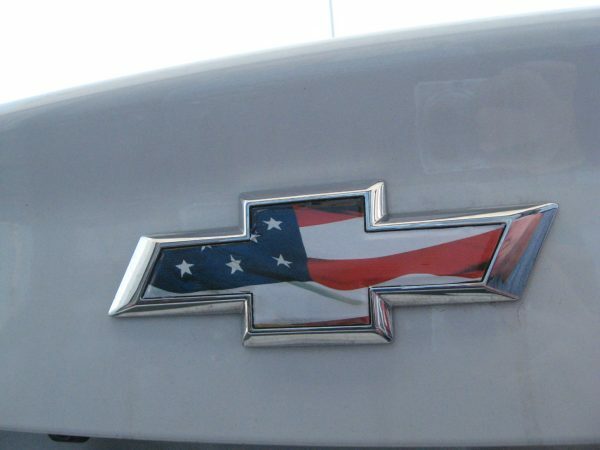 2 Chevy Cruze American Flag Vinyl Sheet Emblem Overlays. 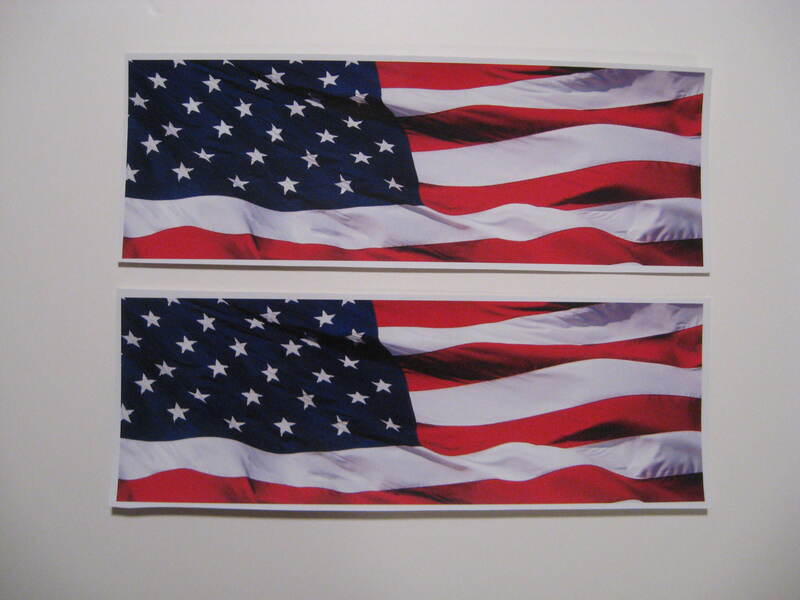 (1) Front Grille Emblem American Flag Vinyl Overlay Sheet. 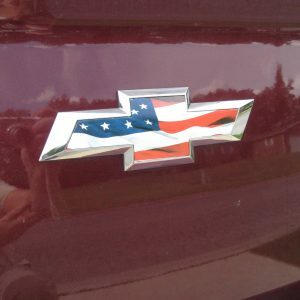 (1) Rear Trunk Lid Emblem American Flag Vinyl Overlay Sheet. 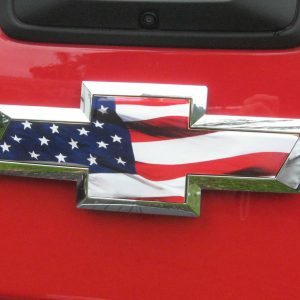 They fit on all 2015 thru 2018 Chevy Cruze Models. Photo shows the 2 American Flag Vinyl sheets. 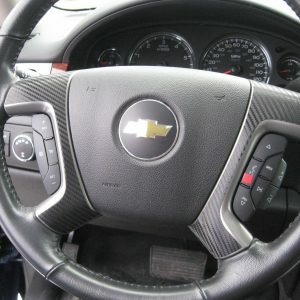 Dress up your emblems……..Awesome Look………….